Today at Spotlight: Health, the Aspen Institute Sports & Society Program releases a white paper that bears consequence for the health of the nation, “Physical Literacy in the United States: A Model, Strategic Plan, and Call to Action.” Supported by the Robert Wood Johnson Foundation, the paper builds on research associating movement competence with physical activity. 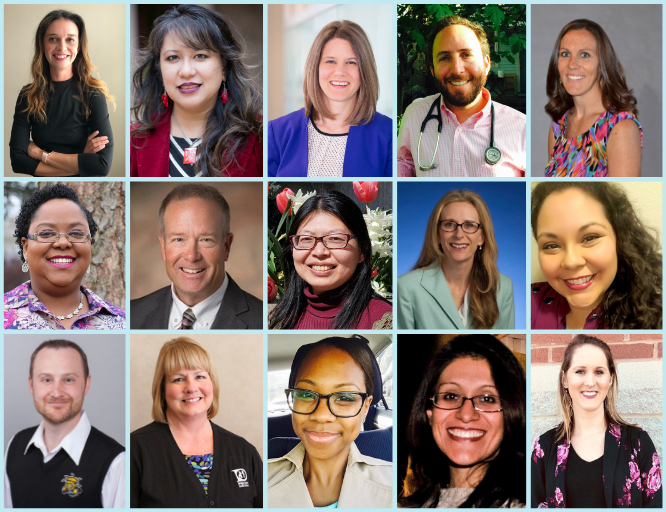 Denver, CO, pediatrician Dr. Shale Wong is a member of the 15-member working group that contributed to and reviewed the report. It’s a simple enough question. So why is it so hard for a 13-year-old to respond? As a pediatrician, I ask kids this question every day, eagerly hoping to hear energetic responses: swimming, riding my bike, playing baseball or volleyball. So many options, but sadly too few respond with enthusiasm for vigorous activities. Frankly, while kids are often less physically active during the summer months, it’s not just a seasonal problem. Our children and teens live sedentary lifestyles, loaded with media and technology but light on daily physical activity. Surveillance from the Centers for Disease Control and Prevention tells us that only 28 percent of girls and 41 percent of boys in sixth grade get the 60 minutes of daily physical activity that is recommended. We can point to many reasons that we’re evolving into a society struggling to free ourselves from the inertia of cars, computers, and other comforts, but perhaps the most concerning reason to me, a parent and pediatrician, is that too many kids simply don’t know how to move. Too many children are missing the fundamental tools that can keep them active into their teens and throughout their lives. What they lack is physical literacy. Physical literacy is the ability, confidence, and desire to be active for life. That’s how the Aspen Institute defines the term in a white paper released today, “Physical Literacy in the United States: A Model, Strategic Plan and Call to Action.” It is a concept with growing acceptance around the world and was only recently introduced in the United States. Physical literacy identifies the movement skills and cognitive abilities that all children should achieve before the middle school years. Developmental research suggests that this is a critical window of opportunity to gain the motor competence and motivation that is associated with higher rates of physical activity as kids move into adolescence. interventions are necessary and connecting them to helpful programs or resources. For example, about 50 percent of 2-year-olds are able to jump in some form, but when should they be able to jump rope? All kids should be able to toss a ball by 18 months, but when should they be able — and when is it safe to teach them — to throw longer distances or with greater precision? And who will teach them those skills? It’s not their pediatrician, and might not even be a parent. If a teacher or coach is responsible for that education, shouldn’t we have a shared understanding and expectation for skills development that parents and other providers could discuss openly and easily? 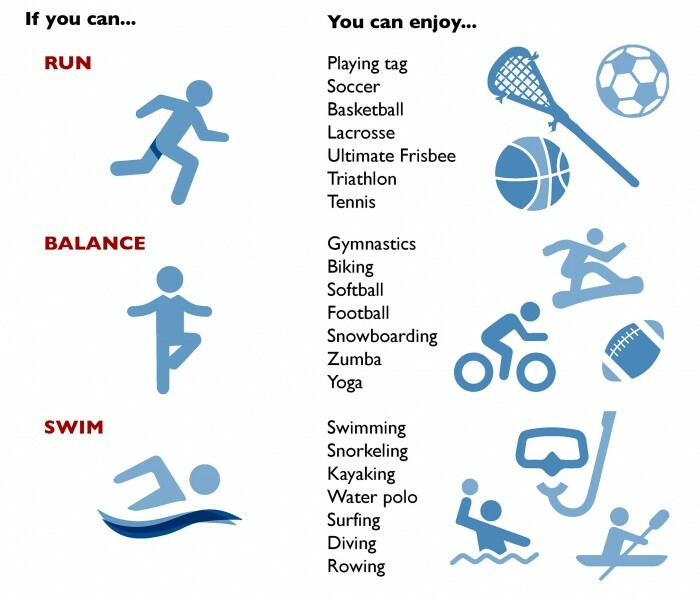 Physical literacy defines a framework that is easily understood and crosses sectors, allowing parents, teachers, coaches, health care providers, and public health officials to speak the same language and define development for optimal health, performance, and productivity beginning in childhood and continuing throughout adulthood. Some children attain physical literacy during physical education in school. This is a key site where skills can be taught and assessed, but opportunities for P.E. are not consistently available. School is just one of many places where movement competence should be addressed. Worldwide, we are seeing dangerous trends of decreasing physical activity and the impact is palpable. Lack of activity contributes to childhood obesity, the broader obesity epidemic, and related chronic diseases. Health care costs to address obesity and injury-related illness from poor physical fitness are exorbitant. In the US, we spend upwards of $200 billion annually to manage obesity-related conditions. Additionally, impacts on mental health and wellness affect productivity in the workplace. Daily physical activity applies to all and is a key lever in achieving improved population health. 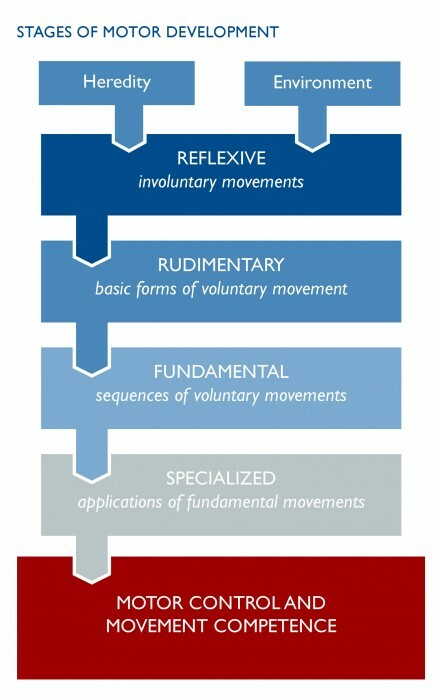 Concepts and interventions that facilitate integration of movement in our daily lives must be adopted. 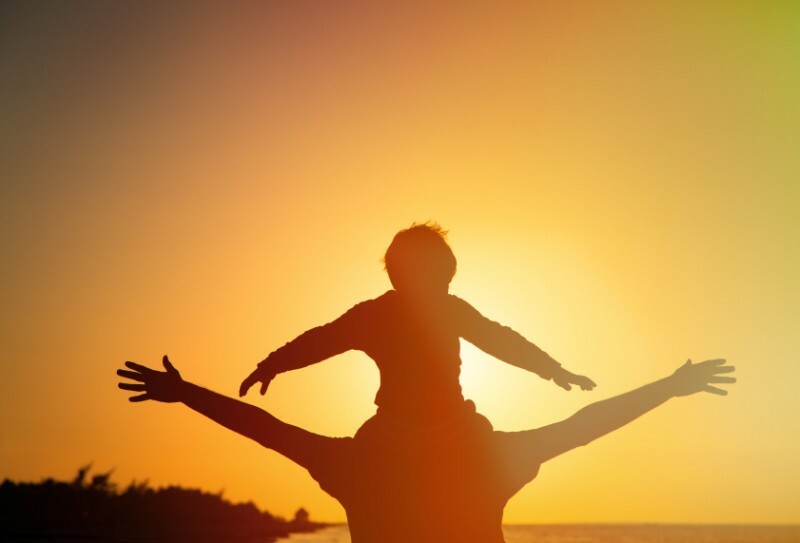 In my practice, it is particularly challenging to help children whose parents are not active. They are in a very difficult position to encourage playing and skills development when they themselves lack movement competence. Just as we must address language literacy when identified as a challenge in an adult, we can also address physical literacy when adults demonstrate deficiencies. Poor physical literacy in adults manifests in decreased desire or confidence to be active. Perpetuation in families and communities is pervasive due to lack of role models and opportunities to be active. When adults are inactive, the demand for more active workplaces, streets and parks, and opportunities to play sports are of low priority. The opportunity to get a whole family moving and playing together is a win-win for children, parents, and providers. 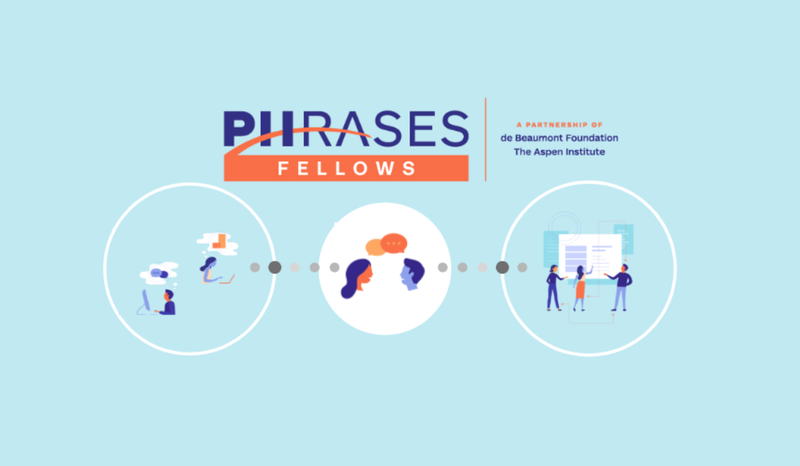 The Aspen Institute paper, produced through its Sports & Society Program and Project Play initiative, focuses on children, but a strategic plan for physical literacy in adults is also warranted. It is also clear that specific populations in the US demonstrate disparities in activity levels that suggest a higher need for physical literacy. Measurable disparities affect girls; children of African, Hispanic, and Native American descent; low-income families; children with disabilities; and children living in the South. 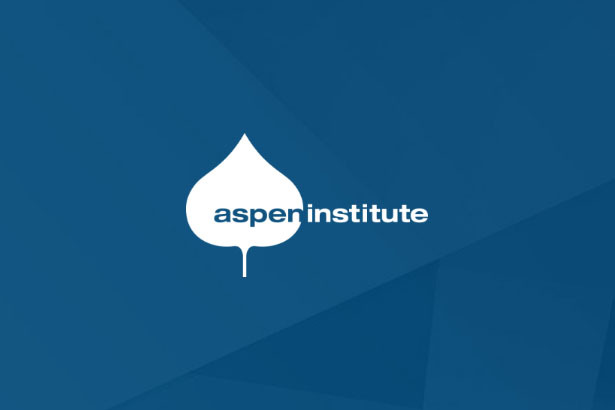 I applaud the leadership of the Aspen Institute, which has spearheaded the effort to introduce physical literacy to the US. After two years of research and exploration, the report offers a cross-sector call to action for stakeholders to adopt and integrate physical literacy in schools, health care settings, recreation, worksites, and communities everywhere. It is informed not only by ideas that emerged from a series of meetings with leaders and experts, but a global environmental scan of physical literacy efforts around the world, as captured in a separate white paper released last week. I am always supportive of intuitive and seemingly simple interventions that improve communication and efficiency in our daily lives; doing so in a way that also improves the health and development of children makes the imperative that much greater. I will eagerly introduce this concept across pediatrics, the health care sector, and systems where physical literacy clearly resonates with our work. 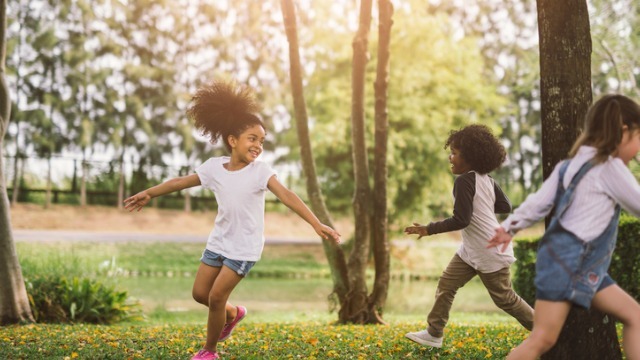 I am confident that if adopted by leaders in education, child development, public health, and public policy, physical literacy could help build a more active and healthier society — one where summer fun always includes active play at every age. Shale Wong is a professor of pediatrics at the University of Colorado School of Medicine. She practices across sectors of health care, education, policy, and philanthropy to achieve optimal and equitable child health outcomes. Dirk Starts His 262 Mile Run Today!! !